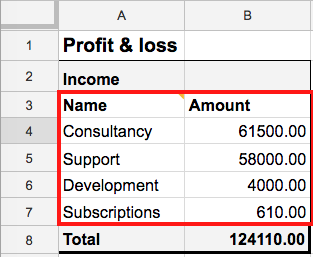 Make a Profit and Loss Report on Google Sheets with the Bkper Add-on from your Bkper book. 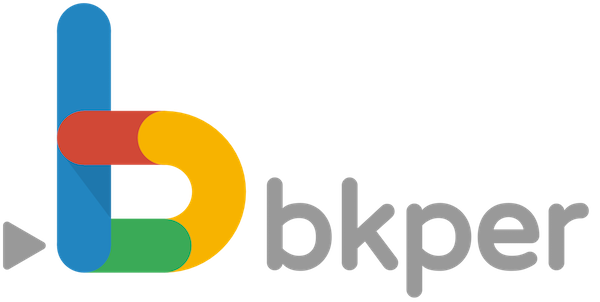 Easily make a P&L Statement according to your business obligations by querying balance values from your Bkper book. 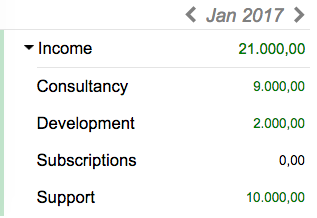 On Bkper several income accounts are grouped into the Income group. Select cell A3 on your Google Sheet, on the bkper Add-on, query for group:"Income" after:7/2016 before:07/2017, mark Balances and Total, and press Fetch. 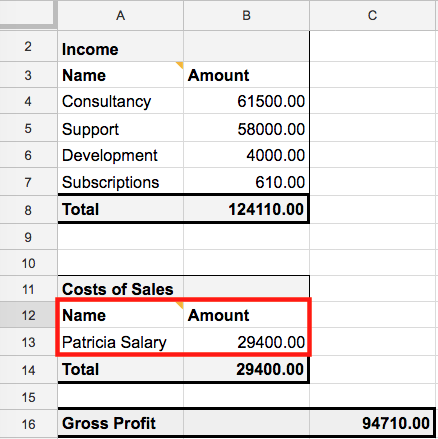 Bkper fetches the data in cells A3:B7, =sum(B4:B7) on B8 to get the Total income. Note: The query is for July last year to July this year you can change it to your financial year. 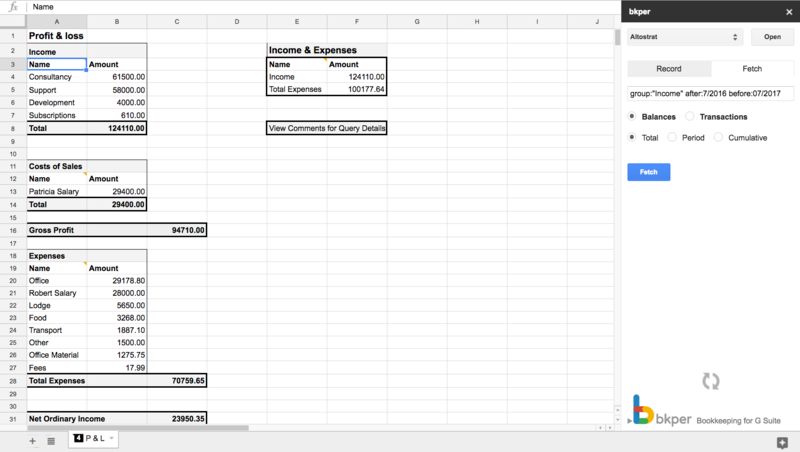 Note: Queries can be relative to the moment they are ran, by using variables group:"Income" after:7/$y-1 before:07/$y , this can be better as you do not need to change your queries each time you run them. The Sales team is considered the Cost of Sales on this book. 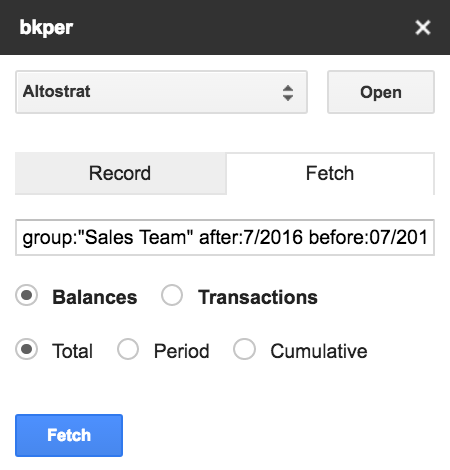 Select cell A12 and on the bkper Add-on, query for group:"Sales Team" after:7/$2016 before:07/2017, mark Balances and Total, and press Fetch. Bkper fetches cell A12:B13, =sum(B13:B13) on B14 to get the Total Cost of Sales and on C16 calculate your Gross Profit. 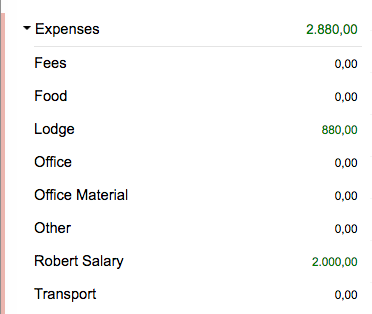 On bkper all expenses are grouped in the Expenses group. 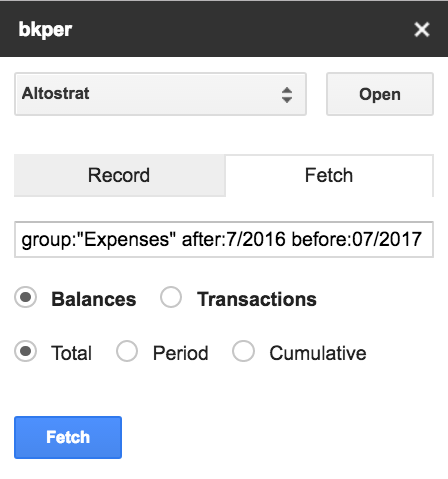 Select cell A19 and on the bkper Add-on, query for group:"Expenses" after:7/2016 before:07/2017, mark Balances and Total, and press Fetch. 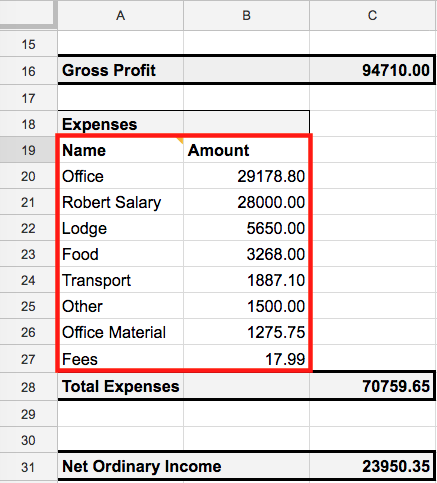 Bkper fetches cell A19:B27, =sum(B20:B27) on C28 to get the Total Expenses and on C31 calculate your Net Income. If you need help to set up your own P&L Report? Feel free to contact us!